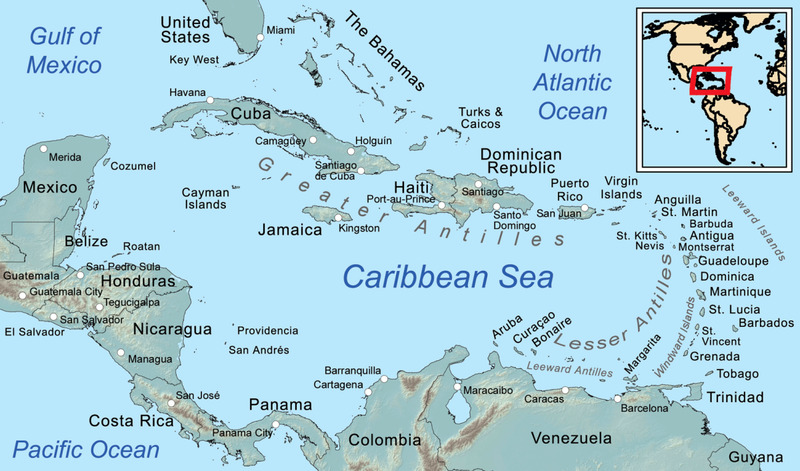 The Caribbean, often referred to as the West Indies, is a crescent-shaped group of more than 7000 islands that stretch upwards of 2000 miles (3200 kilometers) and separate the Gulf of Mexico and the Caribbean Sea to the west and south from the Atlantic Ocean to the east and north. One of my friends, a US Navy veteran who traveled to some of the islands, requested that I write a Caribbean geography quiz. With so many interesting islands, I just might have to write a second quiz about this area after all the quizzes my readers have requested have been completed. The quiz answers are located immediately before the Comments section. As always, please don't look at a map of the Caribbean or do Internet research while taking this quiz. Be sure to post your quiz score in the Comments section and, most of all, have fun! This island nation is the third most populous English-speaking country in the Americas. Once a Spanish possession known as Santiago, it became a British colony in the 1650s and gained its independence on August 6, 1962. What is the name of this Caribbean island nation? The smallest special municipality within the country of the Netherlands. 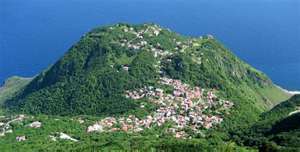 This Caribbean island is the smallest special municipality within the country of the Netherlands. The land area of the island, 5 square miles (13 square kilometers), consists primarily of the potentially active volcano, Mount Scenery. The official currency of this island is the U.S. Dollar. Although the island is part of the Netherlands, and Dutch is the official language, English is the principal language spoken. What is the name of the island? The island nation of the Dominican Republic shares an island with which other island nation? Abaco is one of the islands in this island nation's archipelago. Inhabited by the Arawak Indians before Christopher Columbus set foot in on San Salvador Island in 1492, this island nation is an archipelago consisting of more than 2000 islands and cays. What is the name of the island nation? 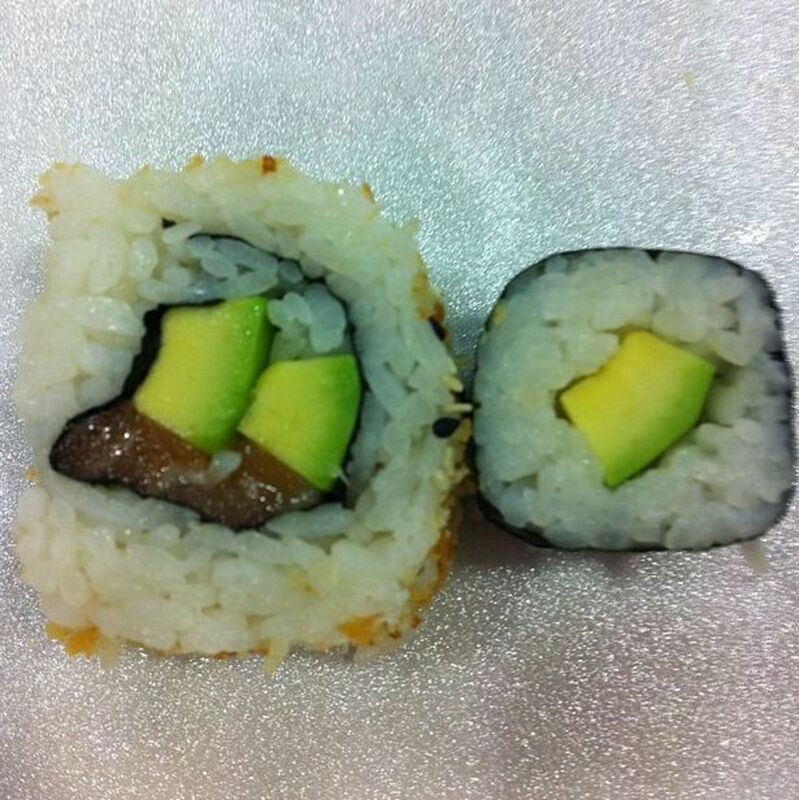 This photograph relates to the answer to question #5. This archipelago in the Eastern Caribbean Sea is sometimes known as the “Butterfly Island” because of the shape of its two major islands, Grande-Terre and Basse-Terre. What is the name of this archipelago, an overseas protectorate of France? 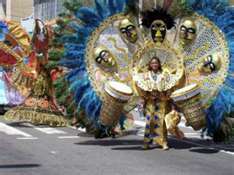 This photograph of carnival is courtesy of thewordlasc.weebly.com. 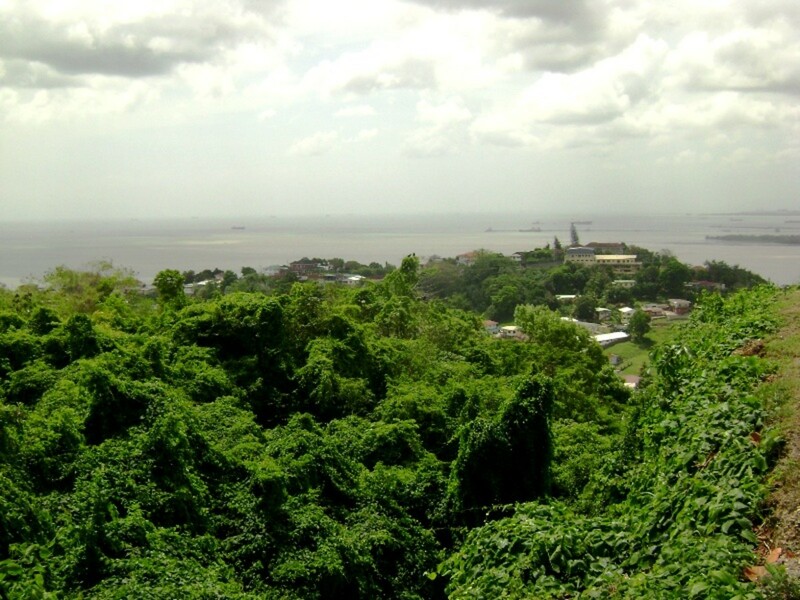 This island nation, which obtained independence from Britain in 1962 and became a republic in 1976, is the birthplace of steel drums, carnival, calypso, and limbo. The Virgin Islands of the United States, formerly known as the Danish West Indies, was sold to the United States by Denmark in the Treaty of the Danish West Indies of 1916. 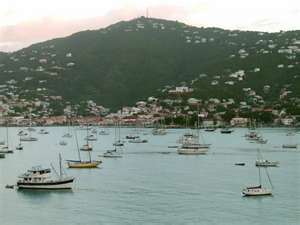 The islands are an organized, unincorporated United States territory, with its capital and largest city Charlotte Amalie located on the island of St. Thomas. 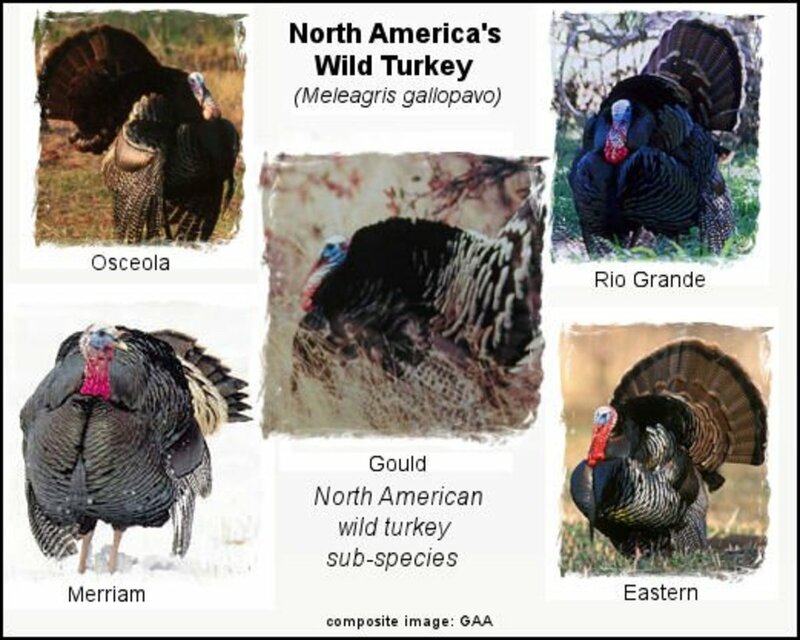 Which of the following islands is not part of the U.S Virgin Islands? Carbon-dating has proven that hunter-gathers established settlements in the island country known as the “Land of 365 Beaches” around 3100 BC. 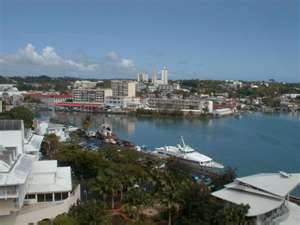 The capital city and largest port in this country is St. John’s. What is the name of this island country? Most of this island’s infrastructure supports diving and snorkeling. 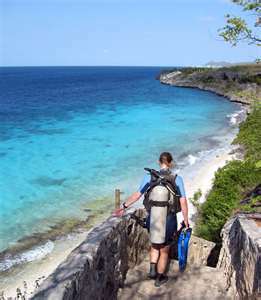 Although the beaches are just slivers of sand, the island’s reef-lined coast has great appeal to divers and snorkelers. World-class windsurfing is also popular. Which island, located in the southeastern Caribbean Sea, is known as the "Island of Spice" due to its production of nutmeg and mace? Do you live on any of the Caribbean islands? If you do not live on one of the Caribbean islands, have you ever visited the Caribbean? Thanks for visiting again. Getting 7 out of 10 correct is not bad at all. Two residents of Jamaica took the quiz. One got 7 answers correct, and the other got 8 correct. It's nice to meet you. Thanks for reading my article, taking my quiz, and commenting. Great idea--I loved doing the quiz. I am impressed with your sneaky way of teaching folks about geography. It is nice to have a check--in the form of a quiz to help them realize how much (or how little) they actually know. Great job! Thanks for reading another of my Hubs and taking the quiz. I'm glad you enjoyed the article. Great hub. A wonderful hub put together with a quiz. Interesting and informative. Voted up. Enjoyed reading. Saw if I knew the answers!!! Thanks for taking my quiz and posting your score. You always visit some of the other islands on your next vacation. I got 3 out of 10...boo!!! I have been to Bermuda, Antigua, and the Bahamas! Loved them all!!! Great quiz! Voted up! It's nice to "see" you again. I am taking a bit of a break from quizzes. I've been adding to my museum series of articles. I also published an art history article recently. My degree is in Fine Arts, so I thought I would write an Impressionisn vs Expressionism Hub.I hope you get a chance to read that one. Are you taking a break from quizzes? I've been waiting to take some more of them. Quizzes exercise the brain. Please post your score after you take my European geography quiz. Thanks for visitng again, Dilip. Why don't you take my European geography quiz? I'll bet you'll do well on that quiz. Thanks for taking my quiz and adding your comment. Have you taken any of my other geography quizzes? Thanks for taking my quiz. I hope you answered #1 correctly, considering the island nation your home! I learned about Saba in one of the geography courses I took while studying Travel Management in college. St. David is an island I invented. That's why it isn't one of the Virgin Islands of the United States. Got 7 out of 10, Never heard of Saba or St. David. Very informative narration while doing the quizz. I may have been nervous while doing the quizz. I'm glad you enjoy my geography quiz series. I don't see a score posted for this quiz, however. You did take the quiz, didn't you? This is a fun hub series, Daisy! Some of my questions were rather obscure. I didn't want to make this quiz too easy. Only 7 right. I got married in the Virgin Islands and have sailed all around there, so I thought I'd do better. If you haven't traveled extensively in the Caribbean, or haven't worked as a travel agent, a score of 50% is good. Thanks for returning for a second visit to my virtual Caribbean. Your kinds words about my quizzes are very much appreciated. I'd like to thank Daisy for all the hard work she puts in to these quizzes. I'm looking forward to the quiz on Scotland. Thanks for the heads up about the next location. As I said, I think it will be lower than my England score, but I love taking these in general, not just quizzes about my own country/ancestry. Hence, I enjoyed this quiz too, even though I've never been there or have any ancestors from the Caribbean. I'm glad you enjoyed taking this quiz. As you will have seen, your island nation was the answer to question #1. I used the quiz capsule with one of the quizzes I published, but the problem with the capsule is that there is a limit to the number of characters each question can contain. Also, the quiz capsule can't be used as a narrow column, with photo capsules to the right of it. Crap! 8/10 I got #2 and 9 wrong. Guess I have to brush up on my Caribbean geography. This is great! I was hoping for a quiz capsule where we could vote. I had so much fun though. Thanks so much for your very kind words. I appreciate it. I would venture a guess that Jost was probably one of the islands that you saw, it is in close proximity to St. John, a very short ferry ride away. I have enjoyed your last two trivia hubs very much and am eagerly awaiting the next. Thanks for visiting again. I've camped twice on the island of St. John in the U.S. Virgin Islands. I have never set foot on any of the British Virgin Islands, but I've seen some of them fairly close up from a sailboat out of Cruz Bay on St. John. I try to get the region at least once a year, and try to avoid going to the same place more than once or twice. 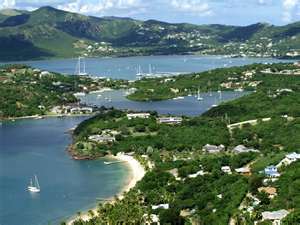 My personal favorite is in the British Virgin Islands, an island called Jost van Dyke, it's absolutely gorgeous. I have broken my rule for Jost, having been 4 times, wonderful. Thanks for taking another of my quizzes. I appreciate it. I learned a lot while doing research prior to creating the quiz. My next quiz will probably be the geography of Scotland. It's nice to meet you. Thanks for taking this quiz. 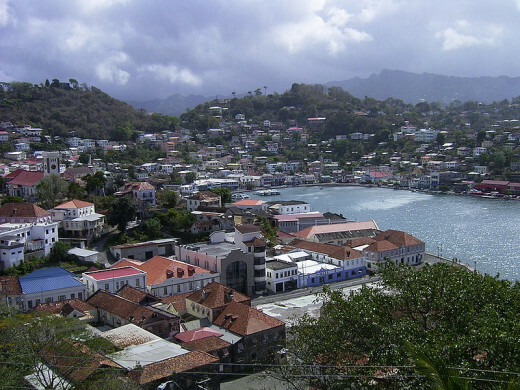 Grenada is one of my favorite Caribbean islands. 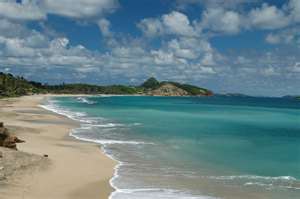 Grande Anse Beach is absolutely beautiful! Thanks for taking another of my quizzes. A good way to learn about the Caribbean is to travel there on vacation. You could make it a "working vacation," and write a Hub or two about your Caribbean trip. It's nice to "see" you again. I'm impressed...You're the first person to have gotten all 10 questions correct. Congratulations! Have you traveled to many Caribbean islands? I'm glad you enjoyed taking this quiz. Considering that you answered 5 out of the 10 questions correctly, a *familiarization tour* of the Caribbean sounds like a great way to learn more about the islands. Thanks for taking another one of my geography quizzes. Rather than ask you which questions you got wrong, it'll be quicker this way...Which questions did you answer correctly? I was a Peace Corps volunteer in Grenada in the '80's. I got that one right (lol) . . . and three others. Kinda disappointed, but hey. Fun quiz. Much the same in this one too, I really need to travel. Great quiz Daisy! It's nice to meet you. Thanks for taking my quiz. If you get a chance, why don't try another of my quizzes? I got 5 out of 10! I think I need a vacation! Thank you Daisy for another fun quiz. Looking forward to your next challenge. Three out of 10, which is more than expected since I don't know the Caribbean. Voting this Up and Interesting. I got 5 out 10 only i'm afraid. I should have done better, nice quiz, thanks.